4. The most effective beauty routine - a method that really works ... I, just as thousands of my readers are the proof! This website, which contains all the information you need about my own anti-aging program, will help you turn back your clock. Health-enhancing ... youth-promoting ... the two go hand in hand. Do you want to become beautiful? I always wanted to. My heart burned when I beheld someone else's beauty. When I was born my hip joints were severely damaged - especially on the right side, making one leg much shorter than the other. Surgeries consumed my childhood. I spent endless months in a cast, but nothing, they said, could be done. Some kids called me a "cripple." No chance I'd ever make it to the cover of a magazine. I'd have settled for normal. I dreamed one day I would walk without a limp. I remember thinking: What if that day comes when I am in my forties, fifties, even sixties? I just had to find a way to look youthful and beautiful when it finally happened. I became interested in people who looked ten, even twenty years younger than their chronological ages. There was something magic about them. It didn't happen at twenty. Nor thirty. I continued to search. Finally, at age 53, I'm called "beautiful" often enough to believe it. There's no "secret" here! By following the raw food diet and lifestyle, I have achieved the beauty, wholeness and wellness I've sought all my life. I believe in the power of the raw food diet, and more broadly the raw food lifestyle, for changing lives and fortunes. Raw food diet works. Raw food lifestyle - adding other sound health and beauty practices to a basic raw food regimen - work even better. My books, blog articles and products will give you the insights, info and methods I've discovered and used for years. You'll find secrets here that will prove successful in the short term…and give you dynamic results that just get better with time. Arm yourself with the right information. Grasp the cornerstones of health. Get ready to put your biological clock on daylight savings time ... PERMANENTLY! No calorie-counting. No tofu. No prepackaged (and overpriced!) meals to buy. No ... go nature's way. But go farther than others do. 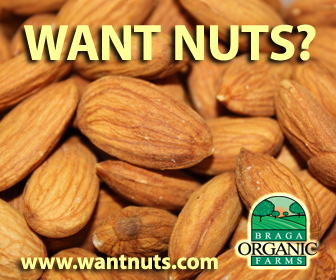 Everyone knows that whole, unprocessed foods are where it's at for boosting health and preventing disease. But the raw food diet takes it one step further, giving you the supreme recipe for the cleanest and healthiest body possible. You won't be cooking the nutrients out of the food. You won’t have to load up on the latest over-hyped 'superfoods.' In the program I'm sharing with you, just about every food you'll enjoy is a superfood. Eat your way to health the raw foods way. My first book Your Right to Be Beautiful: Miracle of Raw Foods will get you started with all the info you need. Fifty-three ... and not a wrinkle in sight! Okay - I'm no runway model. But I do have a clear smooth skin. So … have I “had something done”? Yes, but it has nothing to do with plastic surgery, tucks, pokes, injections, or anything you buy off a shelf or from any kind of high-priced 'practitioner.' You'll never find me recommending Botox injections or any other costly or unnatural procedure. Those often don't work. And some that do work only for a little while, leaving you far worse off down the line. The methods I swear by - such as dry brushing your skin for exfoliation and a fresh clean look ... and daily use of my exquisite natural skin care for cleansing and moisturizing—are all you need. These, along with a proper diet, will bring new life to your skin and help you get back that glow that speaks youth, vitality and health. Sleep becomes ever more important as the years go by. Sleep time is when the body is able to do most of its repair and rejuvenation. Without enough good quality sleep and appropriate relaxation, we cheat ourselves and pay the price by premature aging. 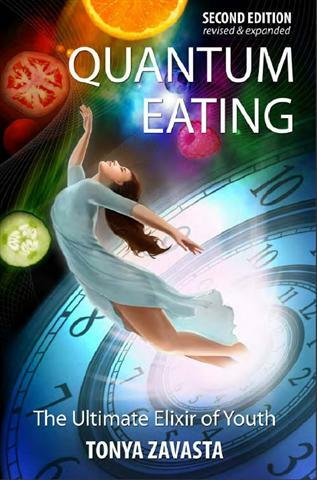 Learn about this often overlooked key to youth and wellness in my book Quantum Eating. You know it already - you've got to exercise. But what kind of exercise? Let me introduce you to my favorite form of exercise in my book Raw Food and Hot Yoga. I'm offering something more than instruction and advice, here. It's personal, with me. 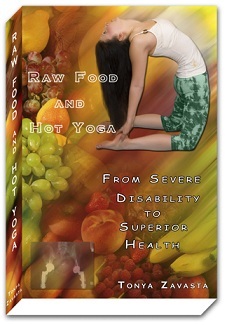 You need to hear and see my story to know what the raw foods-hot yoga combo can do for you. It took me from a crippled, broken body to a radically new life. There’s radical success waiting here for you, too. Did you know exercise is not only vital for your body, but for your face? As we age, gravity takes its toll on our facial muscles, causing them to droop and sag, creating fine lines and dragging the skin down, too. 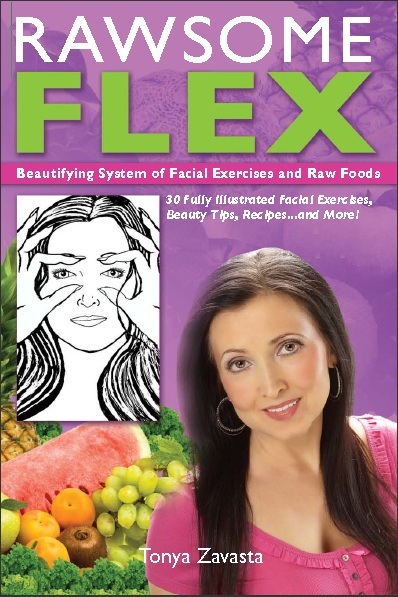 My facial exercise routine “Rawsome Flex” is one of my secret weapons for looking 20 years younger. You’ll be amazed at what it can do for you! Nothing - not my Russian origins, my victory over physical affliction, my achievements in education and business … Nothing has ever drawn so much interest from others as my greatly improved appearance in the last few years. "What's your secret?" The question comes up sooner or later. The truth ... no "secret" at all! All the information you need you can get right here, right now. By following the raw food diet and lifestyle, I have achieved the beauty, wholeness and wellness I've sought all my life. I believe in the power of the raw food diet, and more broadly the raw food lifestyle, for changing lives and fortunes. The raw food diet works. The raw foods lifestyle—adding other sound health and beauty practices to a basic raw food regimen—works even better. 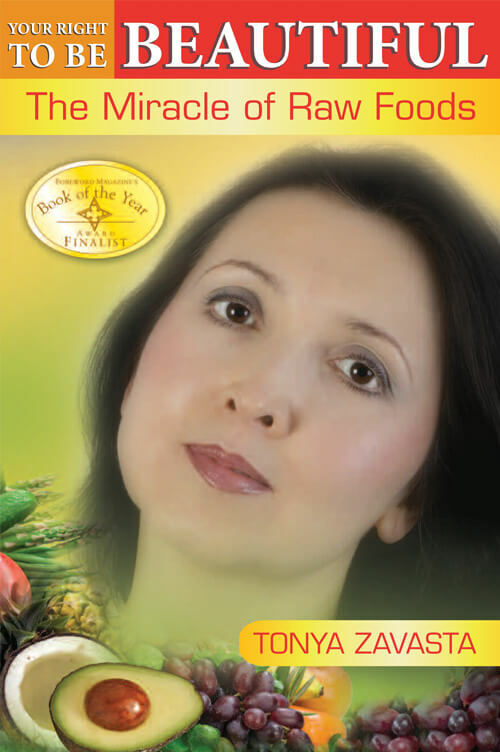 The beautifying system of raw foods and facial exercises. You, right at the moment, are in the right place at the right time. Now, are you ready to look and feel 20 years younger? Let's get started! See what a raw food diet and beauty regime can do for you ... Start by reading Why Raw Food? Be sure to subscribe to my monthly newsletter, loaded with articles, tips, and fresh information to help you turn back the clock and experience a radiant, healthy beauty that you never thought possible. I'm not “inherently” beautiful. Not cover-girl pretty. Lord knows I wasn't born with the “good genes” some runway models are. Yet there I am, at age 51, on the cover of Get Fresh! magazine. Not bad for a crippled kid, is it? Yet I can't take the credit. The raw foods lifestyle deserves that. A raw food diet ... and a regimen of health and beauty practices consistent with what a raw foods diet can do ... that has made all the difference! See what a raw food diet and beauty regime can do for you ... Read on: Why Raw Food?